Thomas Kgope is a Tswana and grew up in an area that was predominantly Ndebele in culture. His artistic career began in 1986 when he met Norman Catherine (b.1949), one of South Africa’s most successful artists and a former student-associate of Walter Battiss (1906–1982). Until then Kgope had practised for some years as a freelance photographer, establishing himself as a qualified electrician in 1985. It was in the latter capacity that he met Catherine, who was then building a new studio in Broederstroom. During work on the studio, Kgope injured himself when he fell from an upper floor. He was then invited by Catherine to stay with him while he recuperated. He stayed periodically over the following year, showing a great interest in art. Catherine encouraged him by teaching him some basic painting techniques and giving him materials. 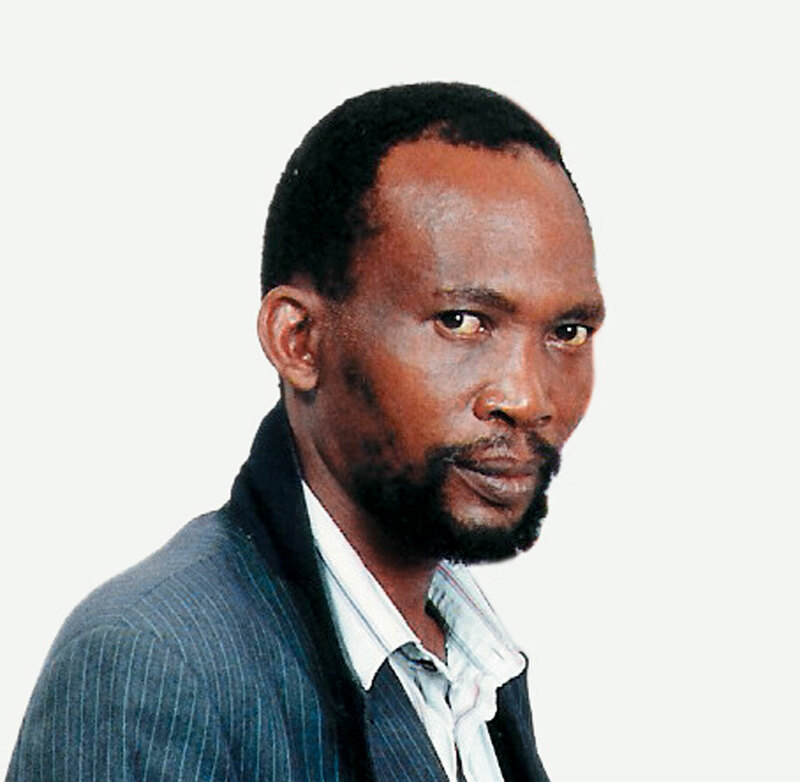 His introduction to the imaginary Fook World of Walter Battiss was highly influential in the formation of his whimsical and playful art, which integrates a dizzying array of subjects and influences ranging from his Ndebele tradition and his private dreams and fantasies to Western-style media culture in contemporary South Africa. Inscriptions abound in his images, saturating and transmuting the forms that underlie them. Afrika: Yvonne Chaka Chaka (1987) (plate 283) is a good example of his combining elements of Ndebele design with his interest in this contemporary South African singer or images from television. Born 1954, Delmas, Mpumalanga. Training 1986: Worked as an assistant to the South African artist Norman Catherine, who taught him to paint. Exhibitions 1988: The Neglected Tradition, Johannesburg Art Gallery. 1990: Solo exhibition at Natalie Knight Gallery, Johannesburg. 1991: Standard Bank Drawing Competition, Grahamstown (touring). 1994: Windows on the New South Africa, World Trade Centre, Toronto, Canada. 1995: Panoramas of Passage: Changing Landscapes of South Africa Collections William Humphreys Art Gallery, Kimberley; De Beers Art Gallery, University of Fort Hare; South African National Gallery, Cape Town, Art Galleries of the University of the Witwatersrand, Johannesburg. Photograph of Thomas Kgope. Courtesy of Natalie Knight Gallery, Johannesburg.